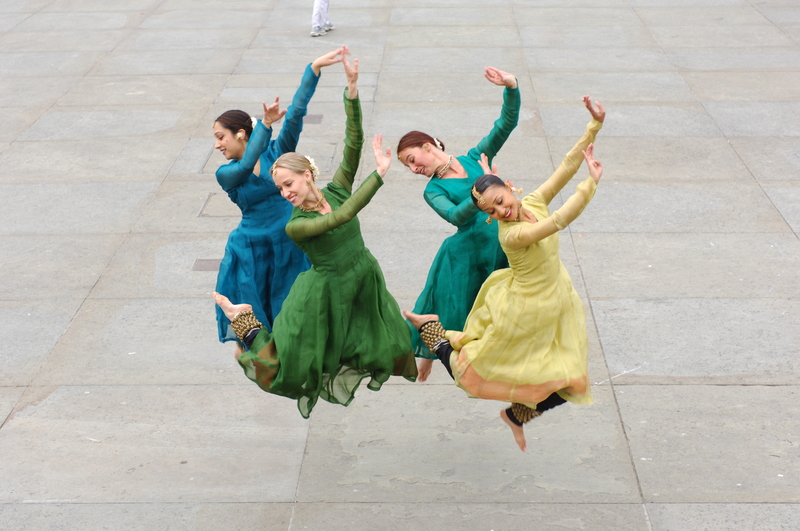 Bells is a classical Kathak work choreographed for a contemporary audience. Bells, originally created in collaboration with Theatre Tol, a Belgian performing arts company known for its uniquely stylised street theatre. 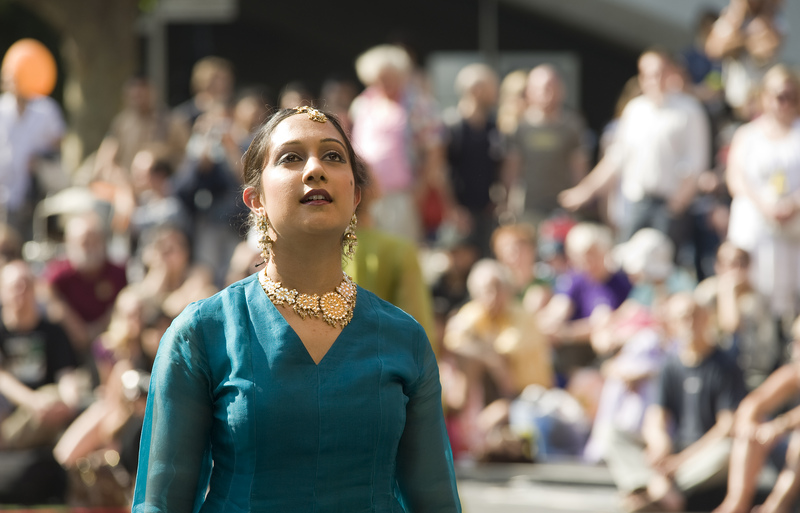 This spectacle unites the best international South Asian dance artists with the spell-binding flying aerialists from Theatre Tol. This crowd pleasing production delivers a breathtaking magical experience. 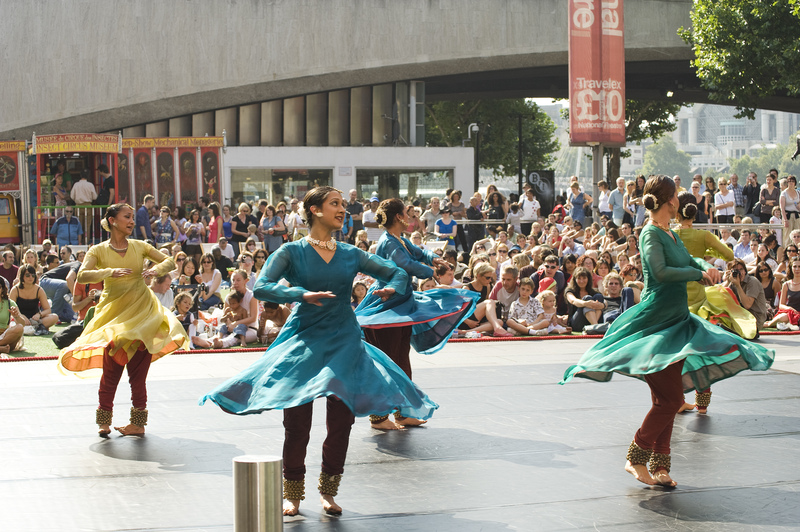 Audience members are invited to join a dramatic wedding procession, under the gaze of aerial fairies building up to a celebratory Kathak finale. 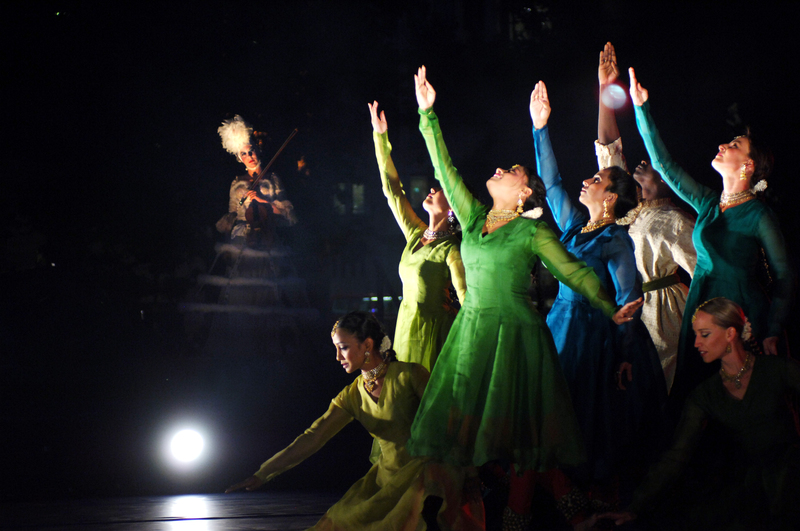 It was originally choreographed by the legendary Kumudini Lakhia and later reworked by Amina Khayyam and Urja Desai Thakore. 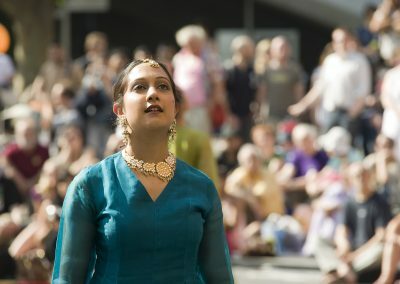 The original music score for Bells is by Atul Desai and Niraj Chag, the composer for Sadler’s Wells Bollywood musical ‘Wah! Wah! Girls’. Bells was commissioned by Mayor of London to be performed at The Trafalgar Square Festival on 10 August 2007. 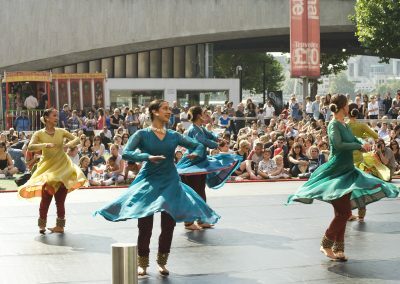 Since then Bells and its segments such as Ekatra toured several prestigious venues such as National Theatre, Showtimes 2012 as part of London Olympics celebrations.